Major grants promise to transform the field of Chinese painting conservation in US museums, which seemed threatened a decade ago. Back then, there were only four senior museum conservators nationwide with expertise. All were Chinese-born and had been trained in Beijing or Shanghai in the 1970s, when the arts were on the rise again after the intellectual and artistic setbacks of the Cultural Revolution. They were in their mid-to-late 50s, yet no younger specialists were emerging to take up their mantle. As those experts now approach retirement, new positions have been funded to assure conservation of the rich Chinese collections at the Freer/Sackler, the Metropolitan Museum of Art in New York, the Museum of Fine Arts (MFA), Boston and the Cleveland Museum of Art (CMA). The Andrew W. Mellon Foundation, the Starr Foundation and other philanthropic organisations have played a fundamental role in securing this legacy. Last July, the CMA announced a $1.5m gift from a California couple, June and Simon K.C. 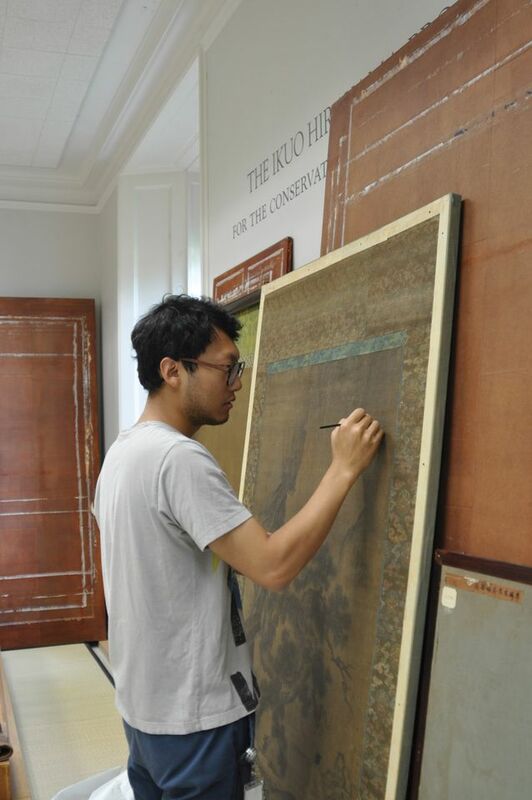 Li, to match a $1.5m Mellon grant that establishes a centre for Chinese paintings conservation. 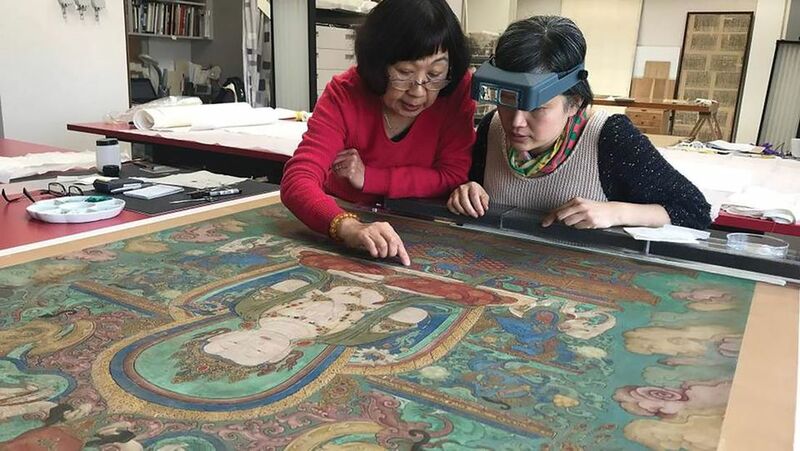 With the help of the Mellon largesse, master conservators from Beijing and Shanghai have been alternating in six-month stints to mentor the museum’s Chinese paintings conservator, hired in 2014. The Seattle Art Museum is currently raising $2.5m to secure a $3.5m Mellon grant to set up an Asian paintings conservation centre. The hope is that the museum will share its expertise by treating paintings from other institutions in the western US. Yet the fount of knowledge remains dependent on recruiting conservators from China and Taiwan. None of the graduate art conservation programmes in the US offers training in remounting Chinese paintings, and it is challenging for young Americans to commit themselves to the ten years of training needed under a master in Beijing or Shanghai. 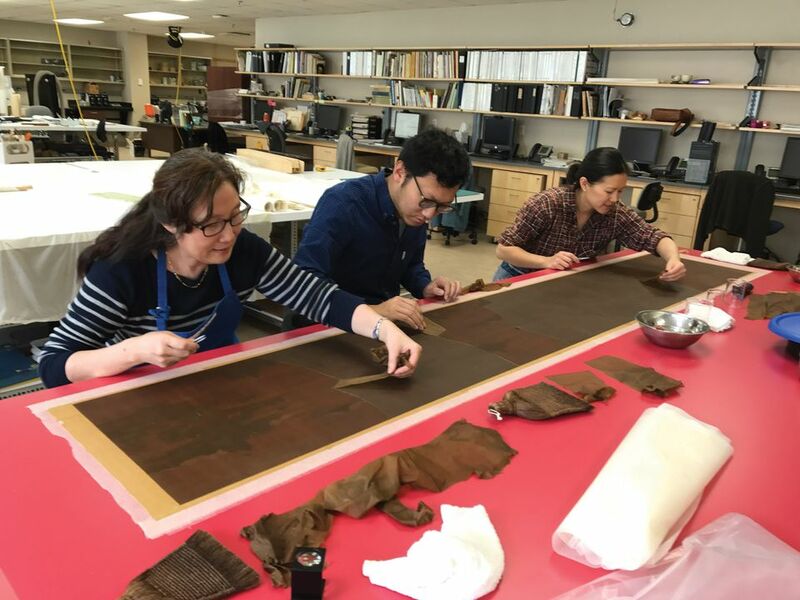 Conservators must be experienced in treating the thin and fragile paper or silk on which traditional Chinese paintings are made—knowing, for example, how to apply reinforcing strips to the back of a painting to repair creases or tears. Usually the paintings are backed with layers of paper to provide support while maintaining flexibility; sometimes a work needs to be completely remounted, which involves peeling away the old backing layers and then applying new ones with wheat starch paste cooked by the conservator. A conservator may also painstakingly replace a painting’s silk border, dyeing new silks to match the work’s age and tone. And they must be adept at working with various formats—hanging scrolls, hand scrolls, albums—each with its own series of steps to be learned. As the sole US-born museum conservator in the field, Jan is something of an anomaly. The daughter of immigrants from Taiwan, she mainly spoke English growing up and had to enrol in a language programme to master Chinese. She graduated from the Conservation Center of the Institute of Fine Arts at New York University, where no-one had the knowledge to impart Chinese conservation techniques, and subsequently trained at the Palace Museum in Beijing and the Shanghai Museum as well as the Met and the MFA Boston. In China, Jan says, “the conservator, scientist and art historian are separate,” with conservators trained as apprentices solely to treat the painting. In the US, conservators are more likely to wrap art history and a scientific analysis of materials into their approach. Yet Elgar reveres the traditions of the masters of Chinese painting conservation. The reason, she says, why traditional practices survive in China and Japan is “because they actually do work”.